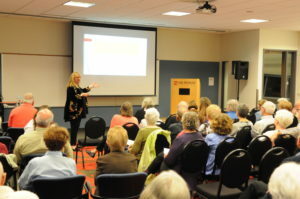 We have compiled all our past events since the Speakers Series began in 2015 focusing on: "Inspiration and intellectual stimulation for interested members of the community." 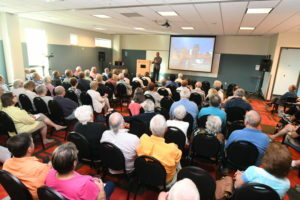 We like to think that all members of our community will get a chance to benefit from the information in the Speakers Series through our past events archive which includes photos from each past presentation and in some instances, a full length video. Scroll through and see what you missed. Professor Fred Johnson, one of Hope College’s most celebrated teachers, discusses how centuries old patterns of discrimination play out in new forms and challenges. He will offer action steps that need to be taken to secure the diminished benefits of citizenship for African Americans. Phil Power, Founder and Chairman of the Center for Michigan and Bridge magazine, offers insightful reflections on 2018 issues affecting Michigan including the 2018 mid- term elections. 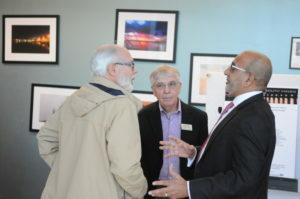 A former owner of a chain of community newspapers, Power has been a strong proponent of economic development in Michigan. Former Detroit Mayor Dennis Archer and member of the Michigan Supreme Court offers his inspiring perspective on perseverance and leadership. 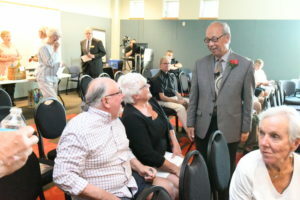 Widely known for his political service, Archer also had a distinguished legal career as a respected judge, first black president of the American Bar Association, and one of the 100 Most Powerful Attorney’s in The U.S.
Dennis Archer will present at Listiak Auditorium in South Haven High School at 7:30 p.m. All other speakers will present at Lake Michigan College at 7:30. The evening begins with a reception at 6:45 at each venue. Admission is $10, students are admitted free. 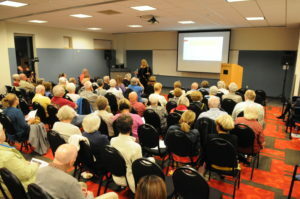 Beginning in 2015, The South Haven Speakers Series, a 501(c)(3) organization, has brought annually four to five outstanding individuals to the community to speak on “Issues, Innovations, and Ideas Shaping Our Lives.” Our purpose is to inform citizens and stimulate thought about significant issues by hosting experts not otherwise available in our community. Your contribution to this organization is tax deductible and may be sent to South Haven Speakers Series, P.O. Box 986, South Haven, MI 49090-0986. Dr. Canul was named 2015 Michigan Superintendent of the Year and currently serves as Superintendent of Lansing Public School District. She will describe her perspective on what really works in education today and why we should care. Yvonne Caamal Canul, considered one of the most dynamic and visionary education leaders in the United States today, will bring her thought-provoking message to the Speakers Series of South Haven on September 28 at Lake Michigan College at 7:30 pm. The evening will begin with a pre-presentation reception with the speaker at 6:45 pm. Admission is $10. Students and educators are admitted without charge. Caamal Canul recently received the Bill and Melinda Gates Foundation American Association of School Administrators award for her exemplary talent, vision, and creativity. 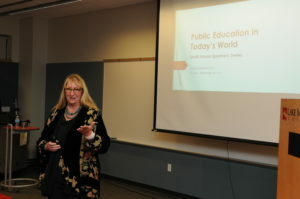 Her presentation in South Haven will challenge conventional wisdom about education as she focuses on issues of significance for all Americans. She believes public education has been the great equalizer in America, but challenges us to ask if our current approach continues to accomplish that goal. Yvonne is known for bold decisions accompanied by a positive attitude with a focus on student achievement based on principles of child development and sound research. She has served as Superintendent of the Lansing Public Schools since 2012, and is described as a no-nonsense, student-focused leader dedicated to educating students in a caring and collaborative environment. 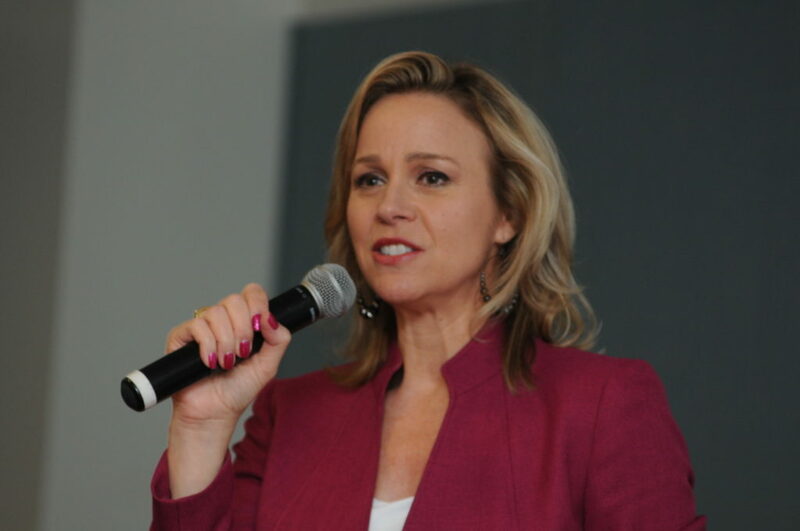 The Michigan Association of School Administrators named her Michigan Superintendent of the Year in 2015. 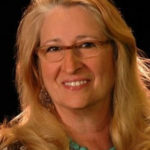 Raised in Latin America until she was 15, Yvonne earned a bachelor’s degree in speech and theater from Olivet College and in 1997 was awarded an Honorary Doctorate. Her master’s degree in elementary education and racial and ethnic studies is from Michigan State University. She founded the Center for Language, Culture, and Communications, Lansing’s first multi-culture based focus school. She was awarded the Capital Area Hispanic Representatives Award for Achievement and the National Educator Award from the Milken Foundation. 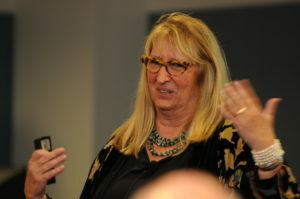 She led the school improvement division for the Michigan Department of Education, worked with the Outreach and Engagement Office at Michigan State University, taught at all levels in the Lansing Public Schools, and served as its director of curriculum and assessment. Caamal Canul’s presentation will be the sixth and final event for 2017. Watch for an exciting announcement about the upcoming 2018 season coming soon. 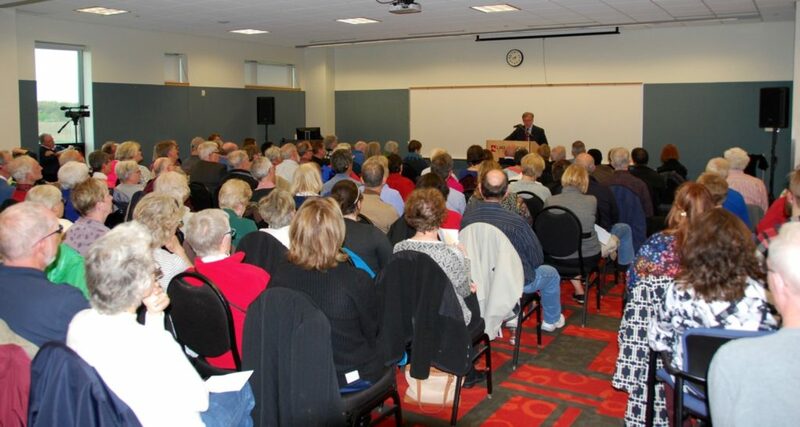 The presentation on Bold Ideas for Better Schools from Dr. Canul was well attended. 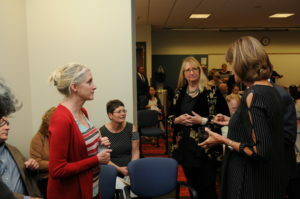 Here’s some photos from the event. Ebrahim Moosa, considered one of the world’s most influential Muslims, will be the next featured speaker in the 2017 Speaker Series of South Haven. 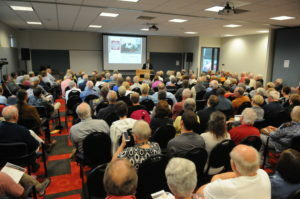 The event will be held on Thursday, August 31 at Lake Michigan College at 7:30 pm. A pre-presentation reception will be he held 6:45. Moosa, a professor of Islamic Studies at the Kroc Institute for International Peace Studies at the University of Notre Dame, will speak on Reform in the Contemporary Islamic World. Approaching Islam as a faith for all eras, he will explore the need for a progressive Islam interpreted in the context of contemporary human dignity, identity and ethics. Moosa will explore the question of heritage in the Arab-Islamic world and how heritage affects identity. It involves issues of politics, the interpretation of Islamic law, and the need to shift to a public theology centering on ethics and human dignity. 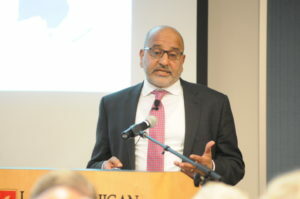 Moosa maintains, however, that events such as the emergence of military and despotic regimes after the Arab Spring and foreign destabilization of the region has prevented these debates from flowering into social policies. Often called to the world stage, he recently commented extensively on Ramadan and the practice of fasting for the Australian Broadcasting Company. “Fasting is an act which is breathtakingly simple in expression, but immensely demanding in execution. Yes, there might be some disciplinary and health benefits, but for 29 or 30 days back to back? That takes some doing…” says Moosa. A native of South Africa, Moosa taught at the University of Cape Town, and Duke and Stanford Universities before joining the Notre Dame faculty in 2014. The Speakers Series of South Haven will conclude the 2017 season on September 28th when Yvonne Caamal Canul, head of the Lansing School District and 2015 Superintendent of Year for Michigan, will address her perspective on what really works in education today, and how those techniques can help break the cycle of poverty through a non-traditional and sometimes controversial approach to education with the presentation “Educational Game Changers”. 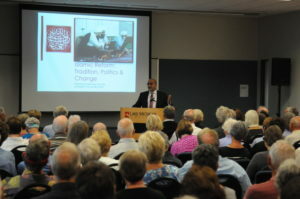 The presentation on Mid East issues from Dr. Ebrahim Moosa was well attended. 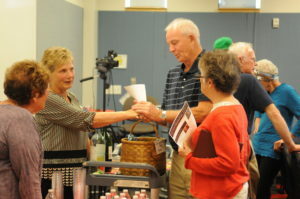 Here’s a video and some photos from the event. Watch the video – Ebrahim Moosa: Mid East Issues – by Richard Brunvand. 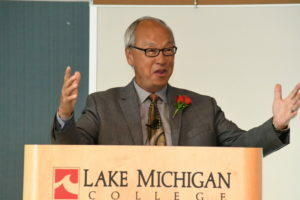 Bing Goei, a highly successful and entrepreneurial Asian-American who currently serves as Director of the Office for New Americans for the state of Michigan, will address the Speakers Series of South Haven audience on Thursday, June 15 on the campus of Lake Michigan College in South Haven at 7:30 p.m. His topic will be Immigration and Our Future. 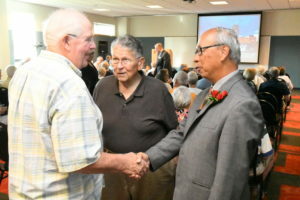 The evening will begin with a pre-presentation reception with the speaker at 6:45 p.m.
Goei is a proud Asian-American who immigrated to Michigan from Indonesia via the Netherlands with his family in 1960. 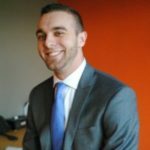 He will share an inspiring story of his journey including the obstacles, challenges and opportunities along the way, and how hard work and perseverance helped assure his ultimate success. In 2001, he purchased Eastern Floral out of bankruptcy and rebuilt the Eastern Floral Company into one of the top 50 Teleflora businesses with six West Michigan locations in Holland, Grand Haven, and Grand Rapids. 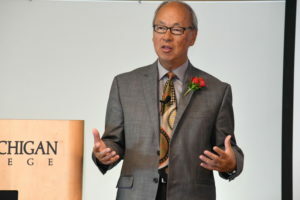 His passion for entrepreneurship and diversity led him to create the International Center for Entrepreneurial Excellence, a business incubator offering low-cost space to young, minority and female entrepreneurs in Grand Rapids. His role as Director of the Michigan Office for New Americans is designed to help grow Michigan’s economy by attracting and retaining global talent, and promoting skills, energy and entrepreneurial spirit within our immigrant communities; and to make Michigan a more welcoming state. He is responsible for supporting and coordinating immigration initiatives and for making recommendations to the Governor on state and federal policies and programs. 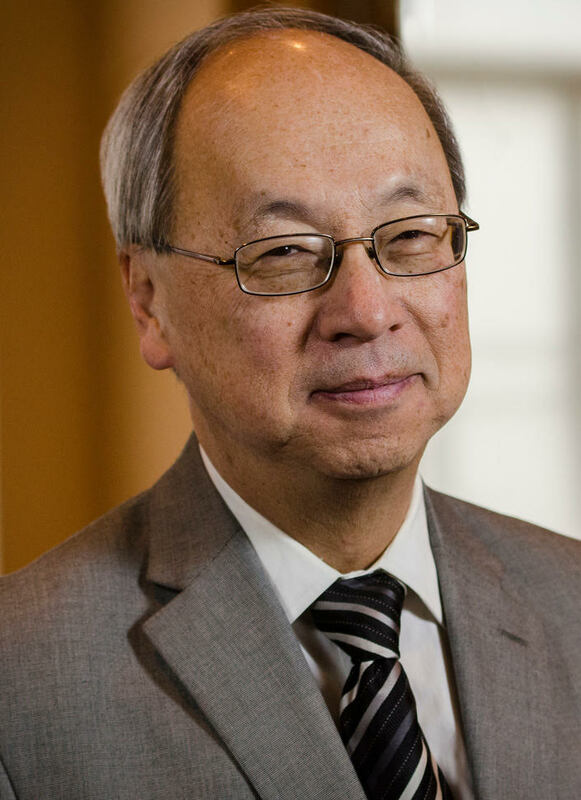 “Goei makes the case for why immigration is so important to the future of Michigan and our country. 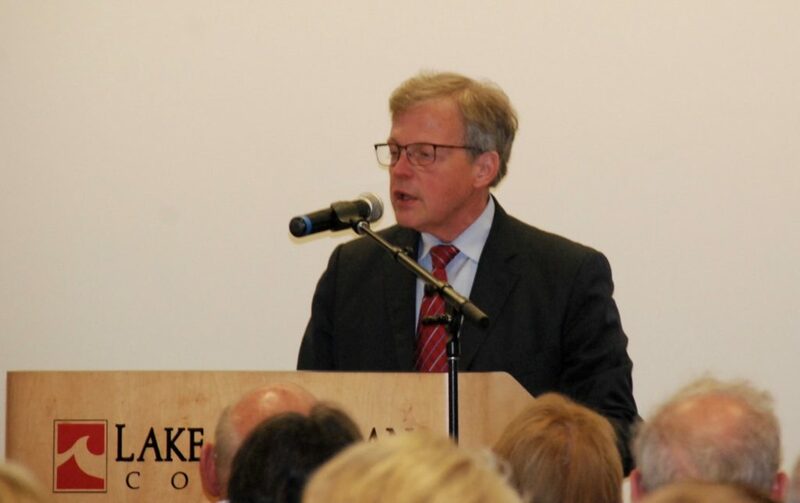 His perspective on immigration and how it can help our economy will challenge some of the current objections we have been hearing over the past few months”, said Mark Odland, President of the Speakers Series and Program Chair for this event. 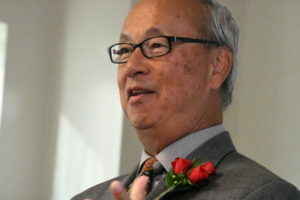 Bing Goei was named the West Michigan Entrepreneur of the Year by Ernst & Young in 2005, and has been inducted into the Junior Achievement West Michigan Business Hall of Fame. 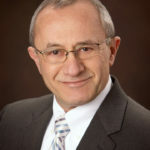 Just recently, he was awarded the West Michigan American Red Cross Clara Barton Humanitarian of the Year Award, and currently serves on the TALENT 2025 CEO Council. 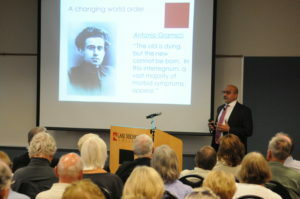 Coming up on Thursday night August 31, Ebrahim Moosa: Mid East issues. 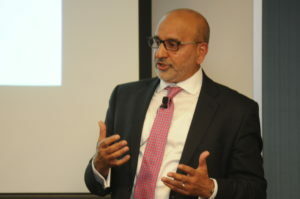 Dr. Moosa, a professor of Islamic Studies in the International Peace Studies program at the University of Notre Dame, is considered one of the most influential Muslims in the world. 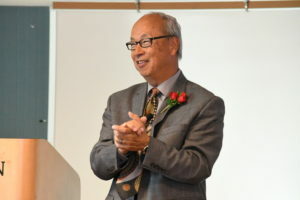 The presentation on Immigration from Bing Goei was well attended. 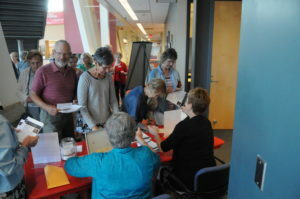 Here’s a video and some photos from the event. Watch the video – Bing Goei: Immigration and Our Future – by Richard Brunvand. Jack Lessenberry is a renowned political reporter and well known throughout Michigan and many areas of the country. His radio show on NPR is well followed and his newspaper editorials are closely read. 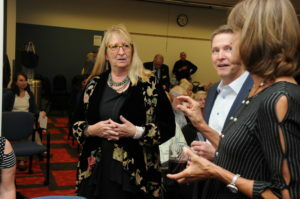 Jack will address issues specifically related to the future of Michigan. 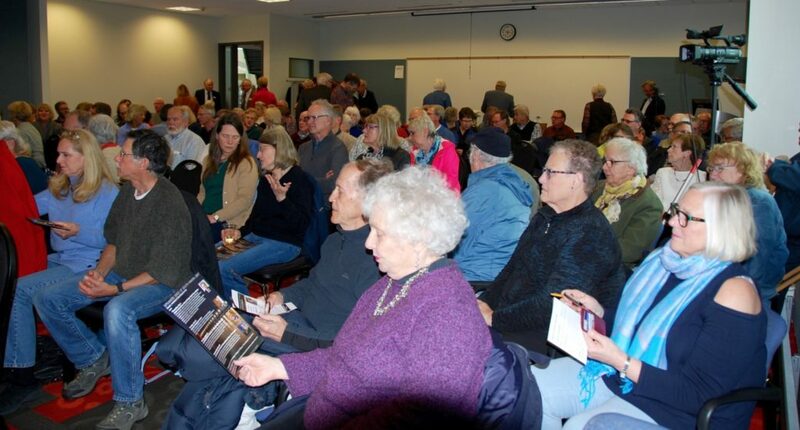 Noted prize winning Michigan Journalist and Public Radio analyst Jack Lessenberry will be a guest of the Speaker Series of South Haven on May 4 at 7 :30 pm. at Lake Michigan College. Lessenberry’s topic is Making Michigan Even Better. A pre-presentation reception will be he held 6:45. 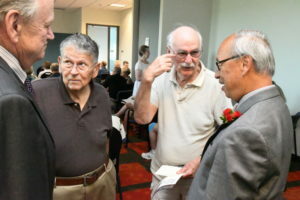 Lessenberry will draw on his forty years of experience watching the workings of Michigan government to explore why the State is such a great place to live and how it can be made even better. 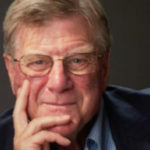 A Detroit native, Jack originally intended to become a historian, but recognized that he wanted to become a journalist during his graduate studies at the University of Michigan where he earned a Master’s Degree in Journalism and East European Studies. Since then, he has worked in every medium from newspapers to the internet. In his work as a foreign correspondent and Executive NationalE of The Detroit News he reported from more than 40 countries. His articles have also appeared in many national and regional publications, including Vanity Fair, Esquire, The New York Times, The Washington Post and The Boston Globe. Among his favorite memories are of interviewing Gerald Ford about Watergate in 1995 and winning a national Emmy for a documentary about Jack Kevorkian in 1994. 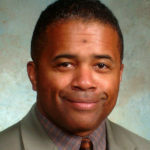 The Metropolitan Detroit Chapter of the Society of Professional Journalists named him Journalist of the Year in 2002. 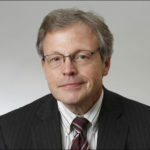 In addition to his work at Michigan Radio, he is head of Journalism Faculty at Wayne State University and a contributing editor and columnist for The Metro Times, Dome Magazine, The Traverse-City Record Eagle, and The Toledo Blade, where he also serves as ombudsman. Although he hosts the weekly public affairs program “Deadline Now” on WGTE-TV in Toledo, Jack mostly stopped watching TV- except for documentaries-when Mr. Ed was canceled, although he admits to a fondness for the crusty old butler on Downton Abbey. He is the co-author of the book, “The Peoples Lawyer, The Life and Times of Frank J. Kelley, the Nations Longest-Serving Attorney General,” published by Wayne State University Press in September 2015. Watch the video – Jack Lessenberry: Making Michigan Work Even Better – by Richard Brunvand. Is College the Best Choice? 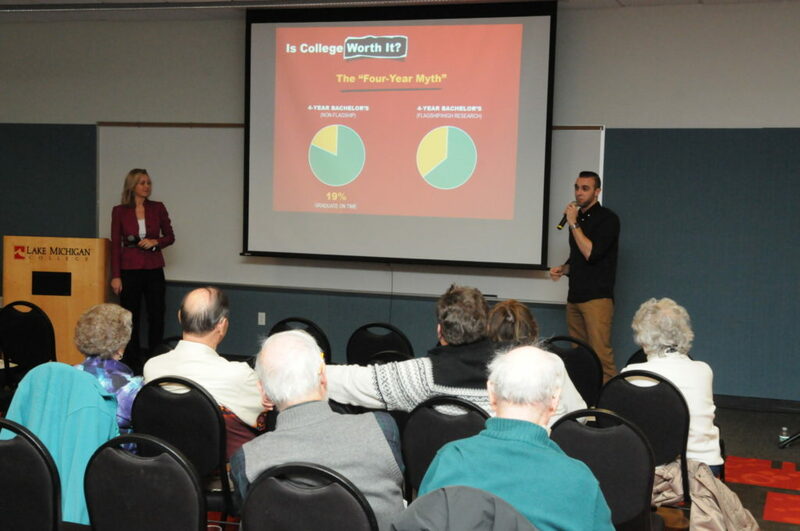 The Speakers Series of South Haven continues with its second presentation of 2017 with a topic that will challenge students and parents to seriously consider if college is the best choice. 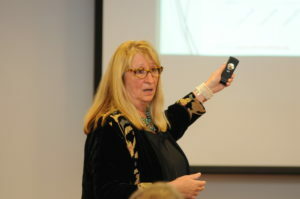 Dr. Jean Norris, who has spent over 30 years working in higher education marketing and admissions, will tackle that difficult question when she addresses the audience in South Haven on Thursday March 30. With the certainty of college costs and student loan debt continuing to mount, and the uncertainty of post-graduation employment with an income that will support living expenses and repayment of all that debt, it isn’t unreasonable to ask if it is really worth it. “If you are a high school student, parent, or grandparent of a student making a higher education decision, you may be asking if the investment is really worth it. Is this a dream worth pursuing? We believe Dr. Norris will help answer those questions and others,” said Frank Cunningham, one of the Speakers Series charter board members who is program chair for this event. A college degree is part of the American dream for many families. Yet with 80 % of students changing majors at least once and only 59 % of younger students completing their degree, finding the right course of study and the right school is no easy task. Dr. Norris will present an insider’s view of the recruitment and admissions process. Her experience and insights will help families address the challenges they face in finding the right fit between student and program, as well as determining if is really worth the money and effort. 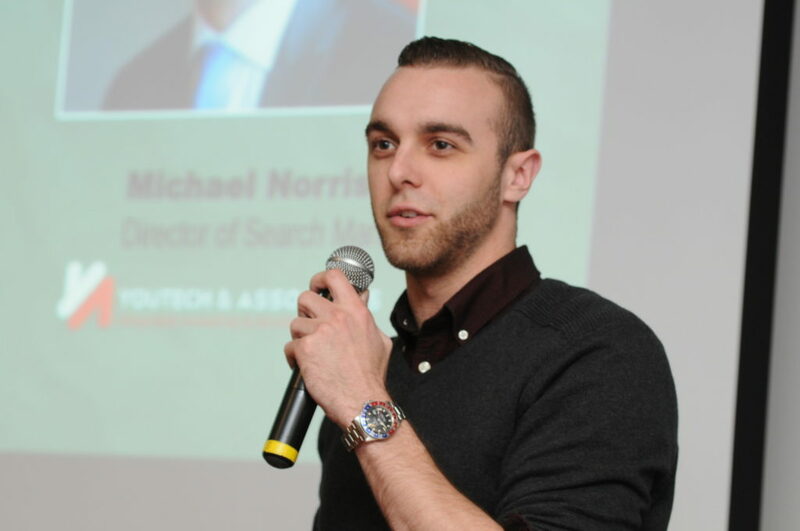 Dr. Norris and her son Michael, who will draw upon his own educational journey, will share what they have learned and introduce the Five Factors of Fit that help allign goals with career and college options. Whether you or someone you know is considering college, “Is College the Best Choice” will be a lively presentation on how to empower yourself to make the best decision. 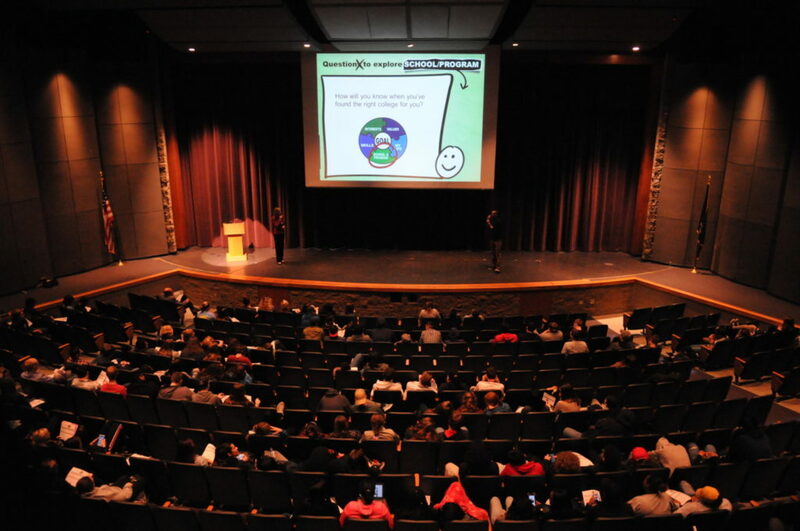 Earlier in the day, they will make a special presentation at the South Haven High School designed to assist students in aligning their goals with career and college options. Dr. Norris took a non-traditional path to higher education, getting her first full-time job, an apartment and a Ford Mustang at age 18. But the idea of being the first person in her family to go to college inspired her to sell everything, move, and enroll in a medical assisting program. She went on to earn a Bachelors degree in Management, a Master’s degree in Communicaiton and Training, and a Doctorate in Organizational Leadership. 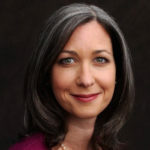 She is a popular presenter on the higher education conference circuit, an award-winning author, and managing partner at Norton/Norris, Inc, a Chicago based consulting firm working with colleges and universities around the country. The presentation will be held on Thursday, March 30 at Lake Michigan College in South Haven. A pre-presentation reception with the speaker will begin at 6:45 followed by the speech at 7:30 p.m. Admission is $10 at the door including the reception. Students are admitted free. The Speakers Series will host the third presentation of 2017 on May 4 with Jack Lessenberry, a renowned political reporter who is well known in Michigan and throughout the country. His radio show on MPR is well followed and his newspapers editorials are closely read. Jack will address issues specifically related to the future of Michigan. Watch the video by Richard Brunvand. 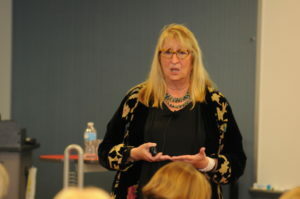 Watch the video – Dr. Jean Norris: Is College the Best Choice? – by Richard Brunvand.